WEARCO NSW represent a number of leading international screen manufactures. Together, WEARCO and these manufactures produce a screening material which best suit your specific screening requirements. Download the WEARCO Screening Solutions Catalogue (2.5MB). Vibrating screens are used for filtering, segregating and separating particles of various shapes, sizes and composition in industries like Chemical, Pharmaceutical, Food Processing, Ceramic, Chemical Industry, Plastic Rubber Industry, Paint Manufacturing, Brewing, Environment Protection and Mining. 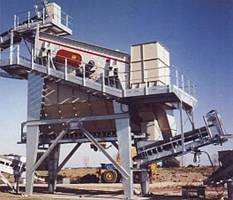 The high performance Screens are designed to reduce the operating cost by effectively filtering, segregating and separating particles in a relatively short period of time. 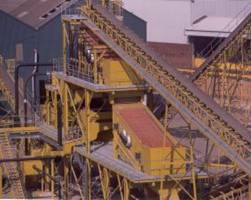 WEARCO NSW offers a variety of custom hook screens to meet all your sifting and sizing needs. 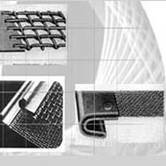 WEARCO NSW offers a large range of mesh specifications and can reinforce these with backing meshes. Standard Hook Configuration – Usually for wire screens 6.3mm and heavier. Standard Hook Strips (reinforced hooked edges). Generally the reinforcement is 1.25mm galvanised or stainless steel. Canvas or polyurethane inserts for finer mesh can be supplied. This type of hook strip is usually fitted to 6.3mm wire and finer. 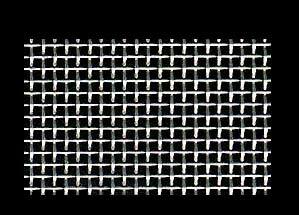 WEARCO NSW offer a full range of screens including light and heavy duty woven wire screen material, cloth, Perforated Plate Screens, PIPO modular panel screens, Rubber Screens and stainless steel woven material. 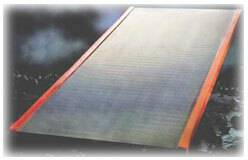 WEARCO offer the services of screens material register. We have a computer catalogue register of the model, size and aperture of screen used for each individual client’s screening plants. With regular stock inventory and close inspection of screens we can arrange for replacement of worn screens prior to failure.